I haven't joined in with Magpie Monday before, but some of my favourite bloggers do and I always marvel over their finds. I do love looking through charity shops and finding a bargain. And this week I couldn't resist joining in because I have recently found a new great place to rummage through and find all sorts of treasures. This new found treasure cove is actually a charity called The Star Foundation, who help children in the local community pursue their interests in sport and art activities. They help raise money by recycling all sorts of things including old furniture.. The warehouse is full of all sorts of bits and bobs from tables and chairs to TV's toys and games and wooden cabinets. 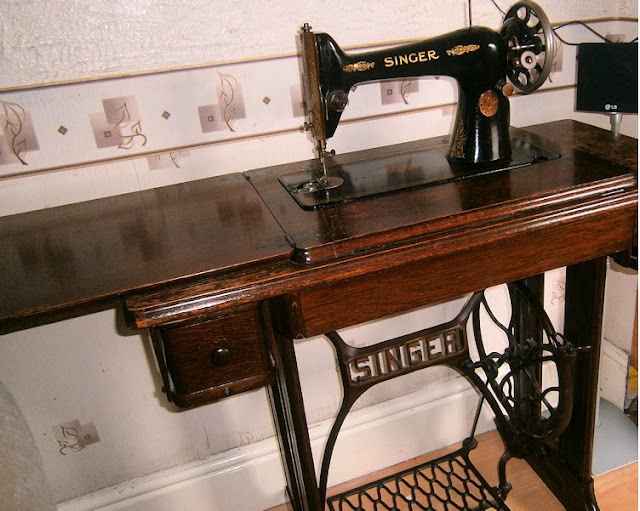 The other day we were having a look around and we noticed this old singer table top sewing machine sat unloved in a dimly lit corner of the warehouse. We asked how much they wanted for it and couldn't resist bringing it home when we were told wecould have it for just £15 With a bit of a clean it looks lovely and is in fact in excellent condition for its age. Once we looked over it we found that it has all the original receipts, instruction booklets needles and bits and bobs from when it was made in 1933. It really is a lovely sewing machine, and the best thing is it still works perfectly, although my sewing skills are far from worthy, I really need to learn how to sew, Darren however is abit of a dab hand at sewing and so he has had a go and made a lovely pillow out of an old flag. 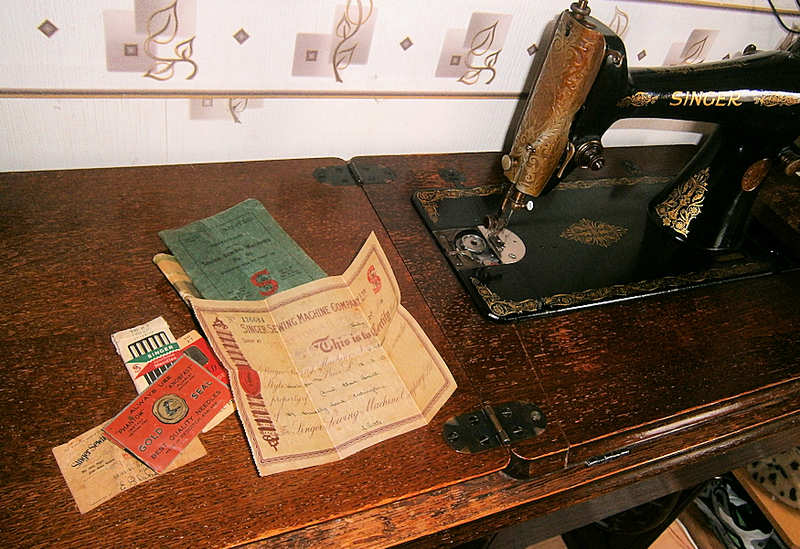 We have now become a little addicted to having a look through the furniture in the Star foundations warehouse and I'm sure we will be finding more bits of old furniture to add to the room to match the sewing machines vintage look so I hope to be joining in with MagpieMonday again soon, if you want to see what others have found this week then click on the badge below to visit Me and My Shadow blog and the others joining in showing off their second hand finds. Thanks for visiting my blog, nice to meet you, I'm your newest follower!! 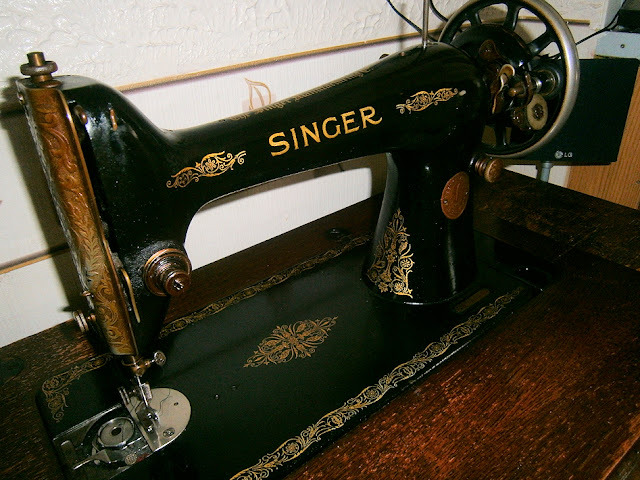 Singer sewing machines were built to last, and they look so classic and stylish. What a wonderful bargain! 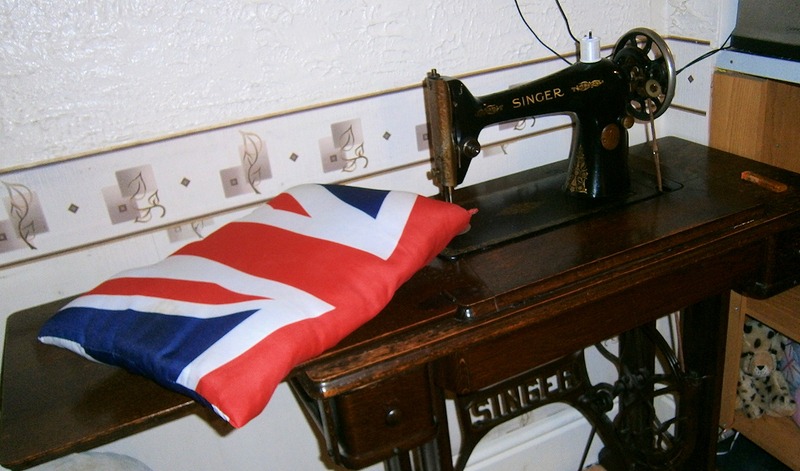 I have a sewing table just like that and it sits on my landing with the machine tucked safely inside. Previously it was the dressing table in the spare room of our old house. I keep meaning to actually have a try sewing with it! 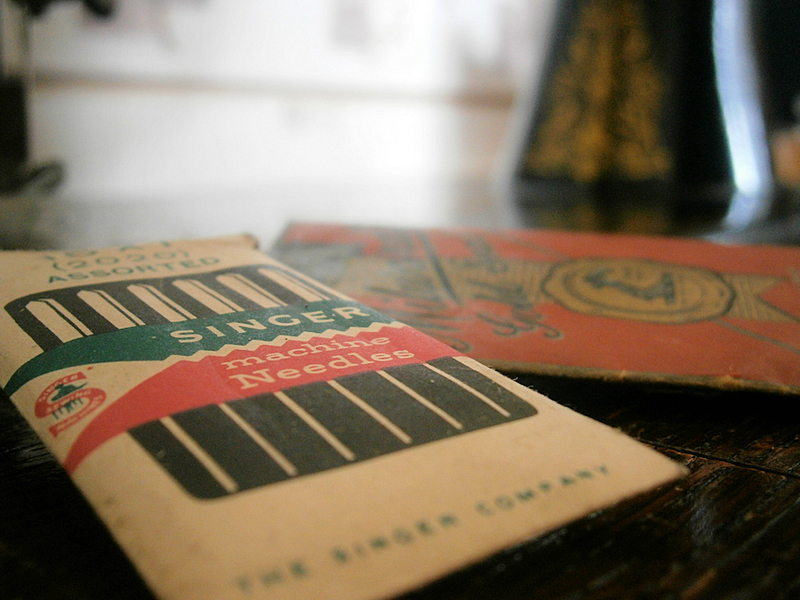 Lovely that you got all the ephemera with it too, nice bit of history. 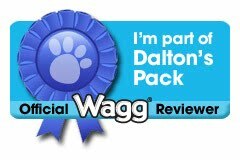 You definitely got a bargain - I paid £50 for mine about 6 years ago!